A key feature of our understanding of cosmology is that the universe has a finite age. This means that there was a period of the universe's history when galaxies first formed. Studying this epoch has long been one of the tantalising goals of observational astronomy – it is a goal that is about to become a whole lot easier to reach. Much of the recent progress in exploring the early phase of galaxy formation has been made by the Hubble Space Telescope, but it is incapable of pushing further into universe's youth. This is why there is such excitement around the new James Webb Space Telescope (JWST) being constructed and tested at the Goddard Space Flight Center in Maryland, US. You see, our ability to probe the earliest period of the universe's history, and its wider evolution is made possible by the finite speed of light. When we observe distant objects we are seeing them as they appeared in the past. Look far enough away and we can observe the first generation of galaxies to form in the universe. Observing this nascent generation of galaxies however is incredibly difficult. These objects are located at incredible distances from us, and are consequently extremely faint. And the expansion of space progressively shifts (cosmological redshift) the light of these distant galaxies further into the infrared region of the spectrum, rendering them invisible to most observatories. 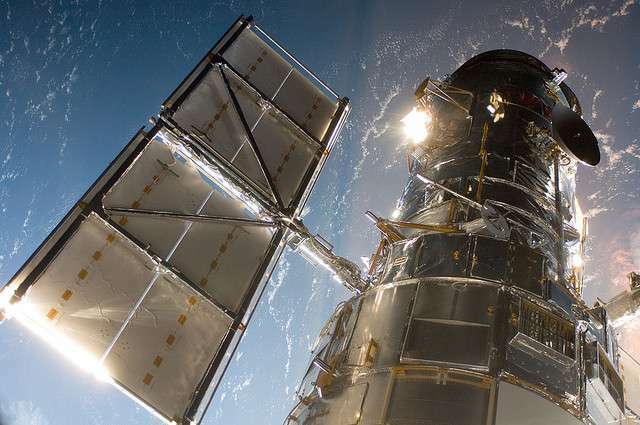 Hubble has been a huge asset, particularly since the installation of the Wide Field Camera 3 during the final servicing mission to the telescope in 2009. 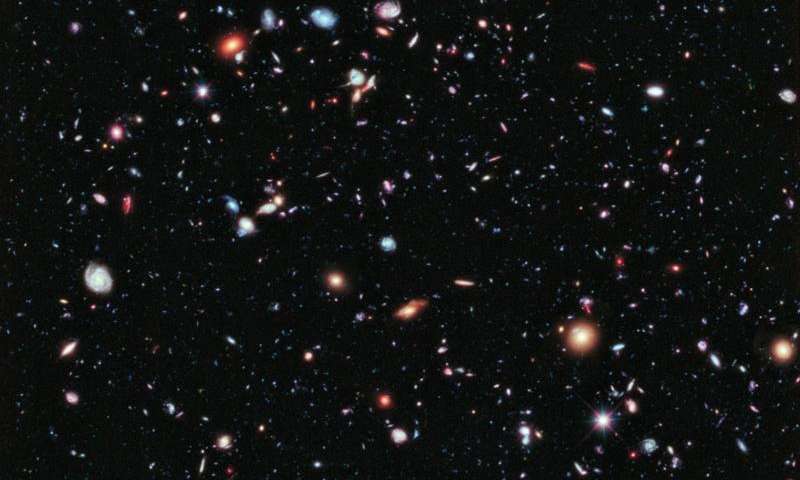 Using the unique capabilities of this incredibly sensitive camera Hubble has been able to identify galaxies over approximately 95% of the Universe's history . Unfortunately, Hubble cannot operate far into the near-infrared and it is restricted by a relatively small mirror. Here is where the James Webb telescope comes to the rescue as Hubble's spiritual successor. 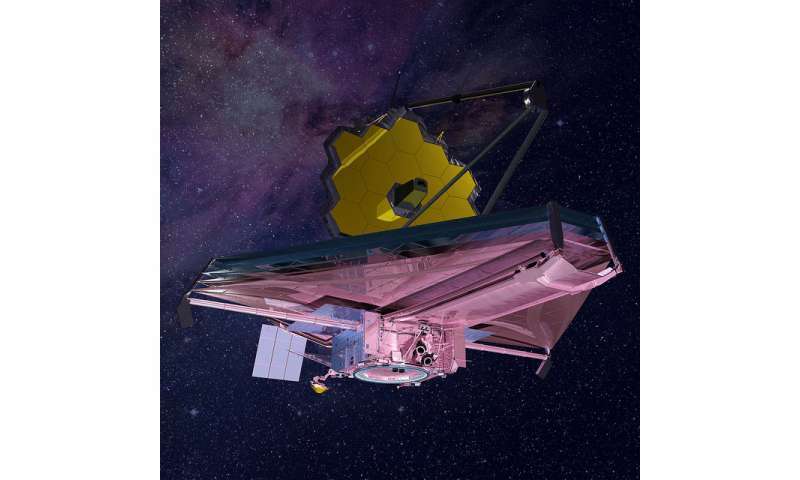 The JWST – a partnership between the US' National Aeronautical and Space Administration (NASA), the European Space Agency, and the Canadian Space Agency – is optimised for observing the near-infrared Universe. And it does this through a combination of its optics, instrumentation, and location. Unlike telescopes designed to observe optical light which use a silver or aluminium coating, JWST uses a gold coating which more efficiently reflects near-infrared light. Infrared observations also require that the telescope be kept as cool as possible, and thus shielded from the Earth and Sun. To achieve this JWST will operate at the Earth-Sun L2 Lagrange point, about 1.5m kilometres from the Earth and about 4 times further than the Moon. This is the sweet spot; a point in the solar system where the Earth and Sun are always in the same direction thereby allowing JWST to employ a single sunshield to efficiently block light from both sources. 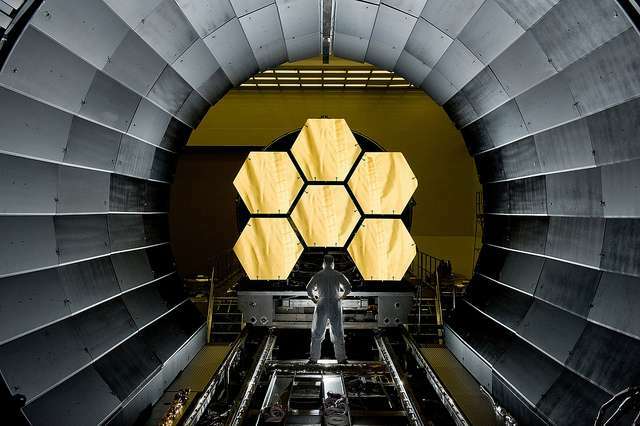 To reach the sensitivities required to fulfil its scientific objectives JWST will employ a mirror with roughly five times the collecting area of Hubble. A single mirror of this size is incapable of fitting in any current launch vehicle requiring that JWST use 18 individual hexagonal mirror segments that are designed to unfold once JWST is in position. These innovations will give JWST the capabilities to explore the formation and evolution of the first galaxies. These observations provide not only a critical test of our understanding of early galaxy formation but may also provide the first firm glimpse of exotic astrophysics, such as the existence of Population III stars (stars that have formed from primordial material formed during the big bang). JWST will also able to tackle a range of other science questions. It will be able to probe through the dust enshrouding young stars, study cool objects like planets and moons, and perhaps most excitingly examine the atmospheres of planets outside our own solar system. While the telescope has had a bumpy development (its projected launch date receded further into the future and it was almost abandoned by the United States government due to budget concerns) it is now seemingly on track to launch in 2018 with the first scientific results likely to appear in 2019.